Despite the snow on the ground, Spring will be here soon. One of my favorite things about Spring is seeing tiny green sprouts coming up in my yard, and early crocus blooms amid a gloomy landscape. I am not the most gifted gardener, but I love to plant and see the literal fruits of my labors. I know many of my friends enjoy gardening too and I thought these simple seed packet envelopes would be a thoughtful and easy gift to help welcome Spring. A gift doens’t have to be elaborate, it’s so much more about the thought behind the gift. These seed packet envelopes take just a few minutes to put together and cost about a quarter. Add a little embellishment to the front or a handwritten note and drop this envelope off at a neighbor’s door or even put it in the mail. I know these seed packet envelopes will bring a smile to someone’s face this month. 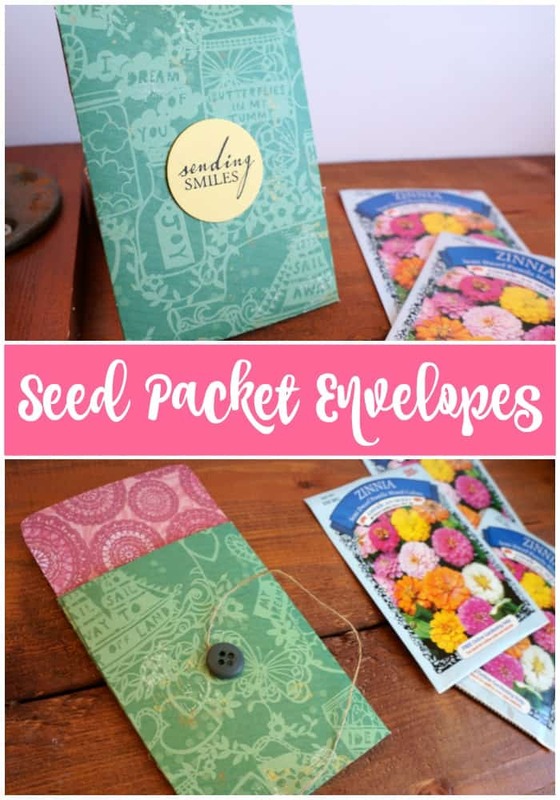 Take a look at this easy to follow tutorial and create your own seed packet envelopes today. These Zinnias are my daughter’s favorite flower. I had to buy extra packets so we would have some left over for our pots. Once the weather heats up they bloom quickly and last all summer, she’s already planning our flower pots for the season. These envelopes can be filled with any type of flower seed or vegetable. 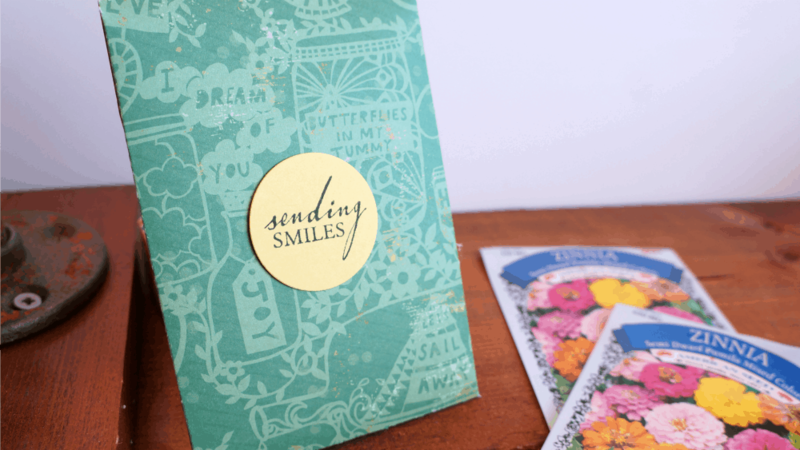 Use a coordinating paper to compliment your flower and a stamp or note to send a sweet Spring message. What seeds would you include in a seed packet envelope? Oh gosh, this is super cute! I love your vid! I’ll have to make one someday soon! What a fantastic idea for lovely gift…it would make my day to receive one of your seed packets in the mail…especially on a cold winter day. I just may have to borrow this idea. What a sweet idea! Thanks for sharing! I came across your post through the Pink Stumblers and am really glad I did. This is a lovely idea, I can see handing it out to friends at work. For drop in company you want to thank for dropping by. I stumbled and pinned it as well. I think this is such a fabulous idea. What a great way to spread the joy of gardening. This is such a beautiful idea!! To be the person to recieve this sweet gift would bring lots smile for sure!! Love that you are speading joy and happiness to all!